SideSwiper Net -- SSN: G3VTT's keys. 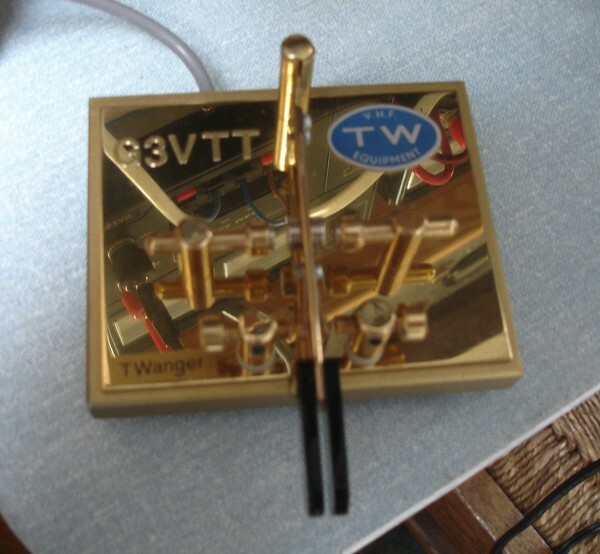 TWanger Cootie by TW Electronics. I was inspired to try the Cootie Key after hearing PA3CVV and G0VQW on their keys. After visiting Miles in Amsterdam I decided to make my own and found a piece of steel from the college where I taught many years ago, some metal brackets from the local tool shop, a steel ruler and some odd bits from a bug key given to me by G3ZWH many many years ago, and some hammer finish paint to make a smart job. [G3VTT]. My second cootie key was the TWanger from Tom G3HGE. The serial number is '12' and is it is used regularly. I would recommend all of Tom's keys but a Twanger is a must for any cootie operator. [G3VTT]. 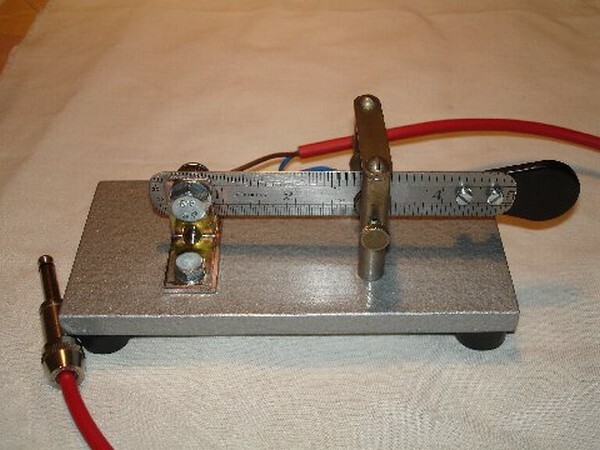 This is an unusual cootie I was given as gift from Adrian G4GDR after making him a power supply for his Paraset. 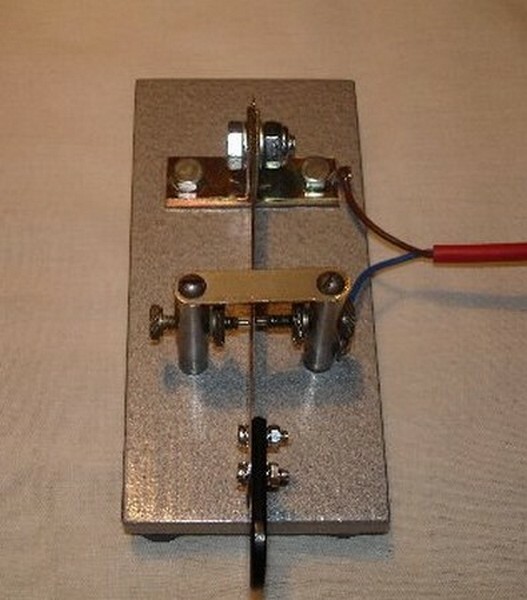 The key is made by Llaves LTA Keys type 'GMM' EA6YG(SK) and gives a completely different feel when sending. Just when you fancy a change! A great tribute to a not so well known key maker. [G3VTT]. This is my favourite cootie key at the moment. 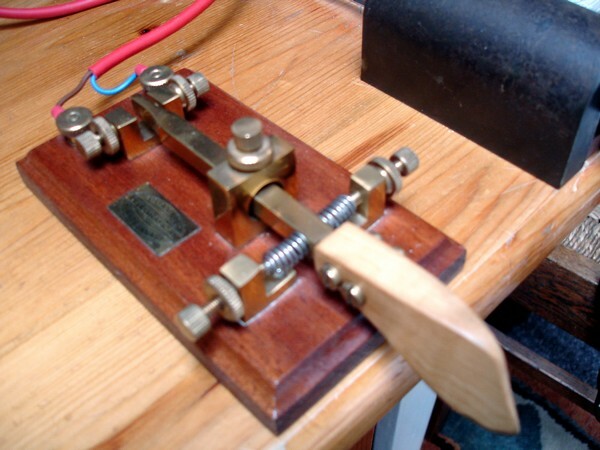 It is the sought after KDM-2 key from Russia which I swapped from UA3AO and is a key used by polar explorers and fishing vessels not to mention submarines. It's heavy and well made but arrived broken in the post. A few hours work with an old feeler gauge soon made a replacement part. It does not move even keyed hard and has a lovely feel. 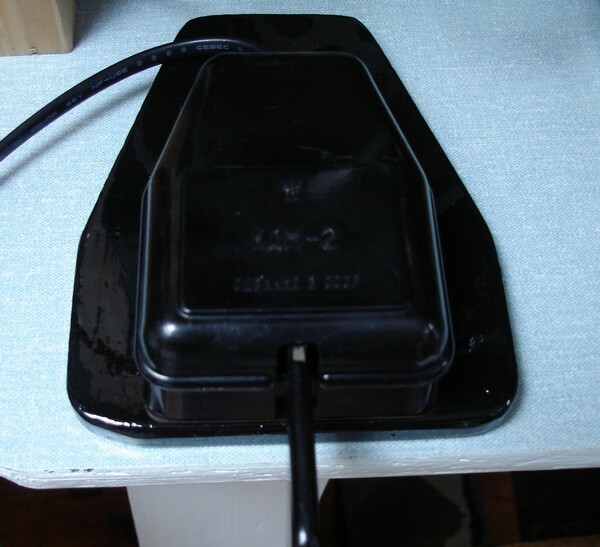 It deserved a decent coat of black paint on the base and some new wiring. A real beauty. [G3VTT]. Page updated on April 10, 2014.